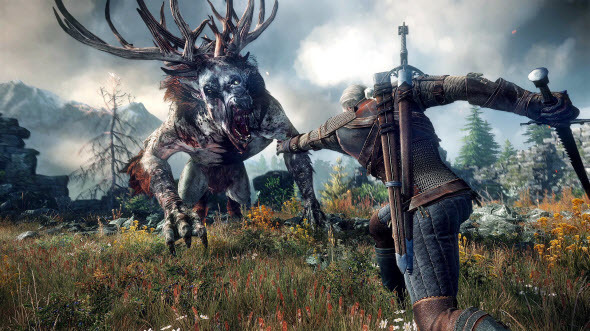 The launch of the next part in the famous action-RPG previously was scheduled for the autumn of 2014, but yesterday the developers announced some changes in The Witcher 3 release date. Unfortunately, all the fans of this anticipated project will have to wait much more - till the beginning of the next year. As CD Projekt RED stated in the official letter, the studio is working not only on the new game, but on the great masterpiece that will change the face of the whole genre. And of course, such an ambitious task requires a lot of time. So, the developers analyzed what they have already done and understood that they need much more time to finish their project. That's why The Witcher 3 release date should be delayed for the next year. "The decision we made was difficult, thoroughly considered, and ultimately clear and obvious. We could have released the game towards the end of this year as we had initially planned. Yet we concluded that a few additional months will let us achieve the quality that will satisfy us, the quality gamers expect from us." - the statement in the letter says. So, dear gamers, the official The Witcher 3 release date is scheduled for February, 2015. The developers are very sorry to make you wait for so long, but in the end, the quality of the final project is the most important thing, and we are sure that everyone understands this fact. Are you waiting for The Witcher 3 release date? Will you buy this game in February? Your comments are always welcomed.